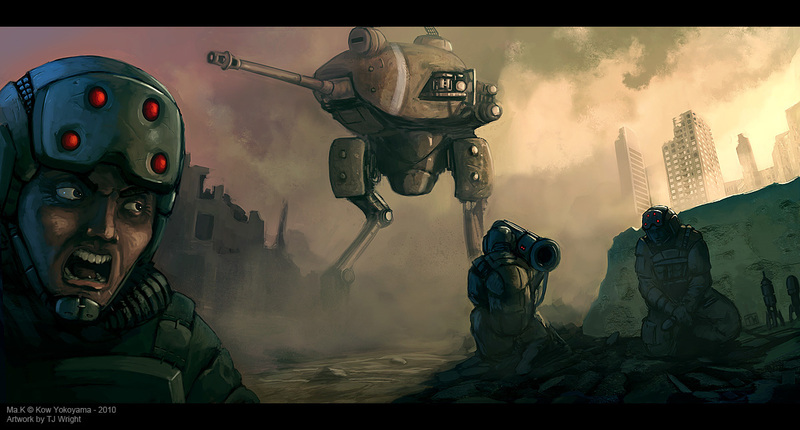 The Art of TJ Wright: Ma.K - Aim for the Soft Spot! Ma.K - Aim for the Soft Spot! It's been a long time since I painted something from Maschinen Krieger so I thought it was a bout time I rectify that. This painting is the culmination of so many things I've been trying to practice the past few months and I loved painting every single minute of it!